Welcome to our family business! The furniture is made by Master-Craftsmen Barry and Richard Hinchliffe, father and son. 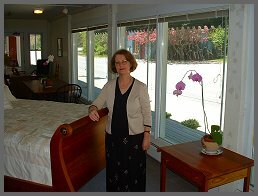 Our showroom is managed by Irene Hinchliffe, Barry's wife and Richard's mom. The furniture is designed and constructed in a small barn, overlooking the Sugarbush ski area, in Waitsfield, Vermont. Each piece is individually handmade using the same techniques developed by 17th century craftsmen. 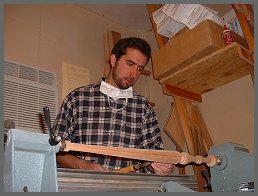 These techniques include pegged mortise and tenon and dovetail joints. Although labor intensive and time consuming to handcraft, they ensure a structural integrity that will enable generations to cherish these future antiques. Unlike production line furniture, our pieces should increase in value as they age. After the construction is completed, each piece is proudly signed and dated. 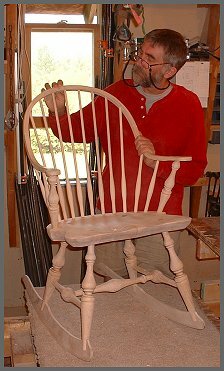 The silky feel to our furniture is attained through many hours of hand rubbing with a very fine steel wool in between several coats of finish and wax. The showroom contains what we feel are some of the most beautiful traditionally inspired furniture pieces made over the last two hundred years and also original designs that won't be found anywhere else in the world. We hope you enjoy viewing this small sample of our furniture as much as we have enjoyed making it.